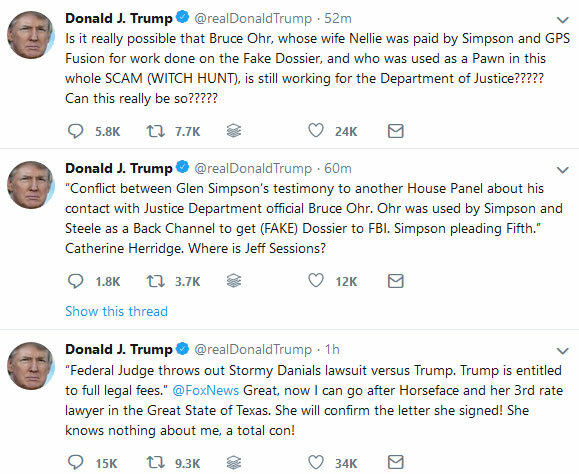 Trump’s trashtweeting again this morning, which usually means some bad news (for him) is about to drop. Not always, but usually. Keep an eye out. Keep an eye on Trump’s fundraising and spending, because I highly, highly doubt that he’s getting that much money from his fanboys. Meanwhile, go get your damn flu shot, people. Like 80,000 people died of the flu last year. Next Post: Our federal deficit went up 17% over 2017 because of the GOP tax cuts.